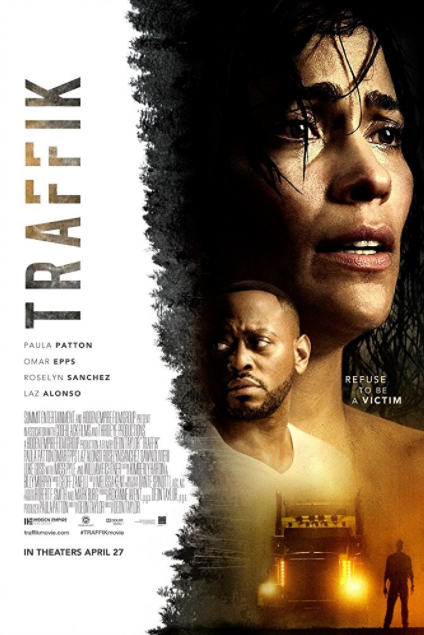 Cast: Paula Patton (Brea), Omar Epps (John), Laz Alonso (Darren Cole), Luke Goss (Red), William Fichtner (Mr. Waynewright), Missi Pyle (Deputy Sally Marnes), Roselyn Sanchez (Malia), Dawn Olivieri (Cara). Story: Journalist Brea and her boyfriend John are off for a romantic weekend in the mountains. On their way up the coast they stop in a small town and are accosted by a group of men on motorcycles. Barely avoiding a fight, Brea and John continue on their trip, unaware that they have inadvertently come into possession of a cell phone…a cell phone that the bikers are desperate to retrieve. Now, alone in the mountains in an isolated rental home, Brea and John must defend themselves against the bikers who will stop at nothing to get the phone, destroy the evidence it holds and kill anyone who would tell their story. Source: abff.com. Cast: Gabrielle Union, Danny Glover (Walter), Nicole Ari Parker, Omar Epps, Jessie Usher, Romany Malco, Kimberly Elise, Mo’Nique (Aunt May), J.B. Smoove. Story: Almost Christmas tells the festive story of a beloved patriarch who asks his family for one gift this holiday season: to get along. If they can honor that wish and spend five days under the same roof without killing one another, it will be a Christmas miracle. Source: Almost Christmas Movie, official site; IMDB.